Are you the type of person that says “haha” or “lol” online? Or perhaps you are an emoji type of person who loves to express his/her feelings with a visual. Or perhaps you are both. Well…I am pleased to announce that Facebook is working to come up with a picture of how its users laugh online and it has published its findings to its data on its official blog. What inspired Facebook to investigate was Sarah Larson’s article about e-Laughter and their social subtleties in The New Yorker magazine. Larson argued that e-laughing is evolving just like any dialect in the world. Anecdotally, she also discovered that laugher tends to vary by not just age but gender as well. More interestingly, she suggested that a “ha” is like a lego piece, one that people use to convey different “levels” of laughter, ranging from the polite haha to a crazy hahahahahahaha. Facebook wasn’t content on relying on anecdotes. So instead they closely examined posts and comments posted on Facebook in late May and studied the string of characters that matched the laughing emotions. They discovered that 15% of people included laughter in their posts and comments. 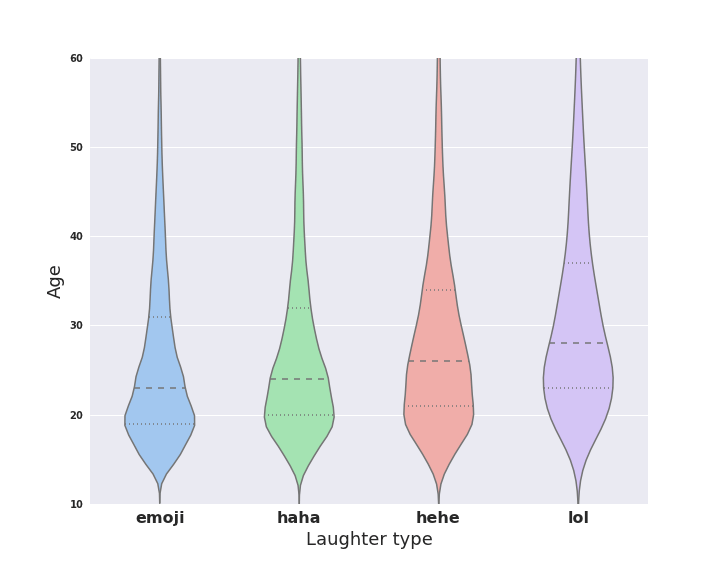 The most common laugh was haha, followed by some emoji and hehe. And they agreed with Sarah Larson that all differed by age, gender and geographical location. 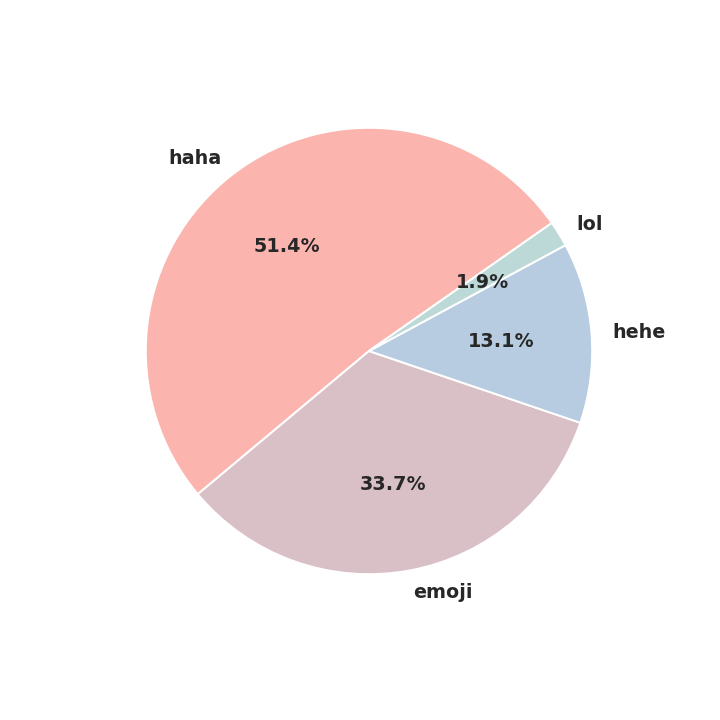 As the above pie chart shows, the majority of the people in Facebook’s dataset are haha-ers (51.4%), then there are the emoji lovers (33.7%), the hehe-ers (12.7%), and finally, the lol-ers (1.9%). The above chart shows that the median person (the dashed line) that uses emoji is slightly younger than the median haha person, but both of these are younger than the people using hehes andlols! More interesting is the fact that both men and women like to say haha and include an emoji, followed by some sort of hehe and lol. The hahas and to some extent the hehes are preferred by men, whilst emoji are mostly dominated by women, who also seem to prefer the lols a bit more than men. What’s your favorite way to express e-laughter? Share your stories with us in the comments section below.